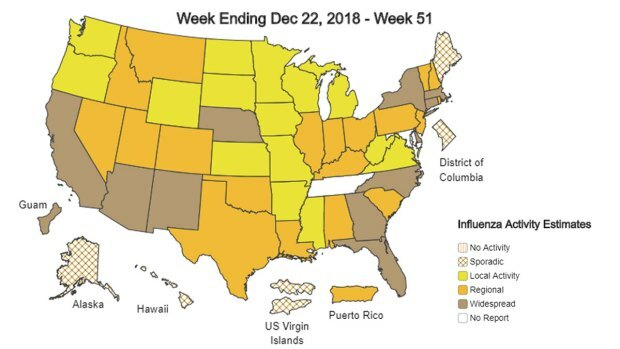 The Centers for Disease Control and Prevention is reporting a spike in flu cases, saying 11 states are now seeing widespread cases of the virus. While Texas isn’t among them yet, doctors in DFW said it’s the rapid increase in the number of cases that has them concerned. At Trusted E.R. Hillcrest, Dr. Gorav Bohil said while they haven’t been overwhelmed with flu patients yet, the number they’ve seen seems to double by the week. He has watched CDC data that shows the states with widespread cases closing in on Texas. “It’s definitely coming. Again just taking you back looking both east coast, west coast it continues to come and it continues to be a significant increase widespread activity,” Bohil said. 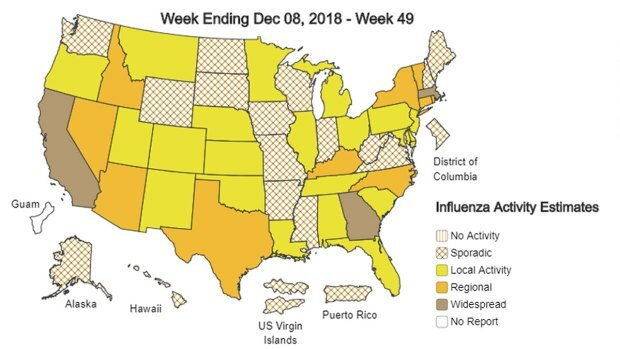 Last year’s flu season went down as one of the most deadly, stretching late into the spring. Bohil said it’s too early to know whether that will be the case this year, but he said numbers show North Texas could be in for a high number of cases. In Texas, the CDC shows the number of reported cases around Thanksgiving close to 75. That number doubled the next week and doubled again the week after that. Bohil said this year’s flu seemed to bring traditional symptoms. “As far as symptoms go, it’s very classic this year: high fevers, muscle aches, headaches, fatigue, people are just feeling run down, feeling ill,” Bohil said. And unless patients get in within 48 hours, there’s little that can be done to help. In that case, he said they could be in for two weeks of illness. It’s also too soon to know how effective this year’s flu vaccine will prove to be, though doctors still recommend everyone get one. They also remind it’s never too late to get one.